This is a traditional sporran made with black rabbit fur. 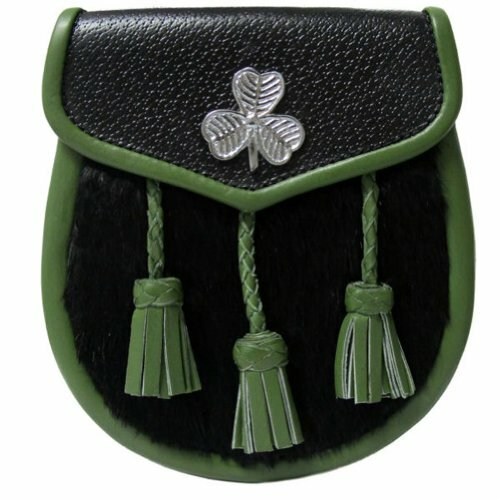 The pouch has three tassels, green leather edging, and a shamrock badge on the top flap. A sporran is a traditional accessory worn with Scottish Highland dress. It is a pouch, usually made of leather or fur, that is worn on a belt over a kilt. It performs the function of a pocket (as kilts typically do not have pockets). People usually use the sporran to carry items they might otherwise have in their wallet or pockets. It is worn under the belt buckle, before the front middle of the kilt, but can be moved to the side if needed. 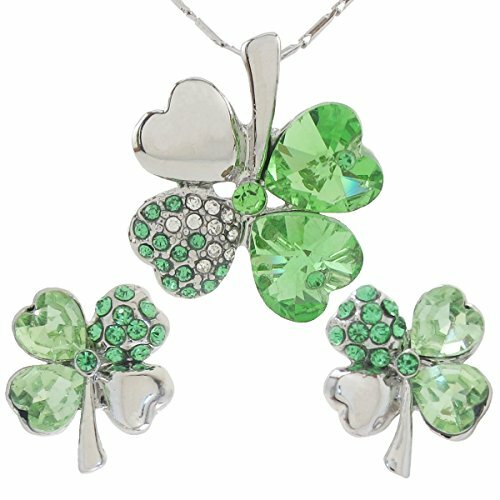 This sporran has a distinctly Irish style, with the shamrock motif and green trim and tassels.